Looking more closely at the inner child and beginning to consider its importance in our lives and in personal growth, sooner or later the need to bring healing will emerge. Working on ourselves by contacting the child within, will make us aware of how much care is necessary, and also patience and loving listening. Let’s see all the features of inner child healing, what is needed to heal and the recommended route. To contact your inner child means first of all becoming aware that it’s there, that it’s an important part of us, and it’s there for a reason: to grow. Its growth is our growth. Therefore the first step is to refine the observation of oneself, to trace the presence of the inner child in one’s own life. In this it will help us to make use of all those meditations that put us in contact with our body, feelings and emotions: the active meditation techniques, such as dynamic meditation, are addressed to make us aware of what happens within us moment to moment, not only mentally but also physically and emotionally. By practicing these techniques, we prepare the ground for an objective and precise observation of ourselves, and for a clear and direct contact with our inner child. It will be possible to begin to grasp our inner baby in it’s various aspects: let’s see them together. By becoming aware of my thoughts, I may notice that they take place as an inner dialogue made of more voices. Start to understand the different characters living inside of you; there are various “I”. By observing the dialogue between them, we can get useful information to understand the dynamics between those three characters and to begin to put some order. As long as a wounded inner child is there inside, the inner dialogue is dominated by the conflict between child and parent, in a condition that sees one prevailing over the other. Whenever there is a child, there is a parent, and vice versa. The inner child does not heal on its own, but together with the inner parent. This is the Superego, also called inner critic or inner judge. The inner child is the unresolved part of what you were when you were a kid, so the Superego is the unresolved part of what your parents have been for you when you were a kid. By growing in age, you have internalized the voices of mum and dad so they have become part of your psyche. Maybe in the present time they are kilometres away from you, maybe they are dead, but all the same you live according to them, you didn’t get free from their influence. Yes, because one of the side effects of the wound is to make you not autonomous, to keep you tied to the past, to deprive you of your right to fully become an adult. As such you are squeezed in a vise between inner child and superego, which behave in your mind like two contenders: theirs is a tug of war, because they mainly disagree pushing you in different directions. That’s why to be calm is usually difficult: when you begin the journey of healing, the mind is seen as a jumble of disconnected thoughts that most often bother you. There is hyper mental activity because child and superego are never silent, and every adult’s attempt to act as peace-maker or to silence them fails: they want to be heard. To become aware is the only way to go towards peace and to become an adult in the true sense of the word. When I’m identified with the child within, I do not notice that I’m thinking with a childish consciousness. But if, with the help of meditation, I start to make space, creating some distance between thoughts and my awareness, then it will be easier to detect when I’m thinking with my childish head, and when with my superego. I will realize also when these two are discussing with each other; for example: “I want an ice cream” “Nooo, I cannot, I’m on a diet”. The two characters have different tones of voice when they are heard into the mind: if you listen to each of them carefully, you may recognize that one sentence has your mother’s voice, while another has your father’s, and still another has the voice of you when you were a kid. There are many examples of this kind, and the more we refine the observation of ourselves, the more we see them, becoming aware of the nature of our thoughts and seeing the relationship between them. You can also keep a diary and write down some of these dialogues: it will help you to train the mental level, to move from a state of confusion to a greater clarity. The journey to heal the inner child has begun: identification is no longer overwhelming, there are times when neutral observation takes place. We start not to think as victims of the inner child, nor of the inner parent anymore. There is an area of inner truce, where you can watch the progress of a third instance: which corresponds to a shiny, clear, present mental level. As mentioned, the inner child is the vulnerable, sentient, sensitive part. As long as the inner child is wounded, your emotions are out of balance: either they are controlled by the Superego, so it is difficult to contact them, or they predominate, making it difficult to be managed. In both cases, the adult part, i.e. the intellect, has developed without contact to the emotional dimension, so it only manifests within certain frames. It’s the case of those who graduated with honours, or those who are vey efficient in their working field, but know nothing or little about their emotional sphere. The consequences of all this are particularly painful, because they live life in drawers, prone to collapse with the first failure … The sense of inner separation is acute, because adult and inner child don’t communicate. It is urgent then to undertake an inner work designed to contact emotions and to understand them. And this kind of work needs to involve the body. If your life’s path has led you to develop mainly your rationality, that makes you organize and control life from that standpoint, instead of letting it arise spontaneously from the energy of the body and the senses, at the beginning it will not be easy to feel the emotional contact into your body. It is a path that requires patience, mainly due to the fact that our feelings as adults are conditioned, and because of that we are not used to listen to that part of us as closer to our being than the mind is. The constraints have origins in childhood, and it is there that they need to be dissolved, retracing the matrix that generated them. Listening to what happens in our body, especially the emotions, when they occur, is the tread to understand the dynamics of our conditioning, and to melt them away, so to regain a genuine capacity to feel, which can be trusted because it reflects the truth. The more I allow myself to listen to my emotions for what they are, without repressing or altering them, the more I invite my inner child to be seen by me; thus I can begin to know him, to see what character it is, what does it requires, what it has missed and what it’s looking for. Remember: emotion means “energy in motion”. Whether it is contentment, whether it is anger or fear, they are always energy moving: the energy of the inner child. Movement, dynamism, is the nature of life, which is a spontaneous flow, and children are masters in this. Through emotions, the inner child invites us to flow with life, to put in motion what is blocked, to get back in the game with more totality. As adults we are accustomed to behave with our inner child in the same way the adults of reference behaved with us when we were kids: this is the conditioning substance, and it is a vicious circle from which we must jump out to heal the inner child. If as an adult I escape emotions, most probability I have a personality dominated by the superego. As a child, perhaps I was a lively child with strict or demanding parents. Similarly, growing up I got used to cut off from my energy, as not to give way to the inner child to speak, to move, to come out. The conditioning causes the automatism in cutting away the energy: we react, which is the contrary of acting, to not feel the emotional charge. Maybe I’m an efficient adult who knows many things, active and capable, but I’m unable to enjoy my body, what I have and all that I have achieved. Two personality characters fall into this kind of behaviour: the rigid type (originating from the injustice wound) and the controller type ( from the betrayal wound). It’s useful to work on the body to allow emotions to emerge to light, learning to listen to them without tightening or repressing. If parents are missed, or they were energetically absent, and it has been experienced as abandonment, the superego will be lacking, and as adults we fall at the mercy of the inner child, endorsing every request. In this case the emotional dimension will predominate in our lives, but it will be unbalanced. It will drag us from desire to desire, without maturing in perseverance, commitment, self-discipline, which are necessary ingredients to develop a life planning. Two kind of personalities fall into this type: the oral character (abandonment wound) and the masochist (humiliation wound). It’s useful to undertake a path of awareness that teaches to understand the nature of what we are feeling, so as to channel the emotional energy, to avoid dispersing it. -if you make up pleasant emotions by using the mind, imagination or ideals, you remain unbalanced and your feeling capacity is impaired; maybe you think you’re a sensitive person, but your sensitivity is fake, it does not have a centre because it is induced, not spontaneous. Becoming aware of all those implications is an important step towards healing the inner child. We all tend to be identified with the superego, governing our lives by a conditioned mind, so periodically we come across situations in which the inner child makes himself be heard: it comes out of the corner in which it withdraws, and emerges as emotionality, which, if not judged, it is just energy in motion. Those are the moments we are afraid, in the grip of fear, or anger, or sadness, or even, guilt: why is that? A conditioned mind is led to believe that all those occurrences are negative events. While on the contrary, the truth is that our inner child is taking us by the hand to show us something about ourselves, but we do not want to go with it. To analyse, trying to manage by mind what is happening: in this way, the experience gets so much distorted that, presuming to understand it, we move away from it, so to end somewhere else. And there are even schools of personal growth based on this misunderstanding! The conditioned adult frequently fails to contact and to fully observe an emotion, because he’s too charged, too full of congested energy that he doesn’t know how to contain. The charge is the energy, the extent of the emotion. When we start to work on ourselves, we are so full: fatigue, burdens, frustrations, problems …. in fact, we are full of unexpressed energy, because it is blocked. This is nothing else than emotional energy that we don’t feel anymore, from which we are disconnected at a level that we don’t even realize. So all we see is the superficial level: the problems of our life we are unable to solve, or the solution of which doesn’t seem to be in our hands. Feeling full of charges leads into taking the defeatist posture, to seek for a placebo. Instead, if we finally want to have the feeling we are mastering our life, not just to manage it, but to live it, it is important that we start to work with charges. It requires both a bodily and emotional awareness to regain the ability to listen what’s really going on inside, being attentive to the messages of the body and the emotions. Then you slowly begin to familiarize with inner realities which you never imagined even existed before. We could begin to realize how difficult it is to observe and to be present with continuity while a strong and unpleasant emotion bubbles up, such as anger or fear. They are the thread that help us to retrace the energy of the inner child and release it, becoming at the same time aware of our ego, and move over, towards our true life in which the released energy flows into meeting our own greater good. When emotions are too strong and we cannot support them, we are under emotional seizure: our malaise deepens and we lose touch with ourselves following the illusion to alleviate it, when in fact we are not feeling it, we dis-connect from it, as from ourselves. The superego and the inner child are in conflict and whether the first or the second wins, it will be a momentary victory, which will inevitably lead to frustration and unhappiness, because it’s based on separation, on the denial of the true part of ourself. Observing these dynamics is an important transition towards healing the inner child: it will be helpful to become aware of when we are dominated by the child and when it is the superego to have the upper hand. The more we become aware, the less we will be caught between these two inner fires, giving us a chance for real growth. Working on the body, with active meditations, and with the practice of presence, will gradually open new inner spaces, so that it becomes easier to stay with what is there and to hold up the presence even when the power of emotion is intense. Energy cleansing and cellular memories transmutation are beneficial to reduce charges, so that it is gradually easier to contain them and to continue observing. It opens the way to understanding: it happens when intellect and emotions, inner parent and inner child, begin to find meeting points to work together, rather than fostering division. Your inner child is healed when you can observe an emotion all the way, even if it is unpleasant: the charge brought by the emotion does not make you give up, you remain a witness, welcoming it’s vibration and letting it distribute throughout the body. You don’t act on the basis of that emotion. You wait. You know that emotion is for you, not for someone else. It’s a conditioning which is releasing thanks to your presence. You follow with attention and curiosity that energy that, thanks to your benevolent and neutral attitude, is transforming and becoming something else. So fear becomes trust, anger becomes strength, sadness becomes joy, hatred becomes love. It’s the alchemy of transformation. “Healing your roots” is an intensive experience of transformation of emotional charges withheld by cellular memories. 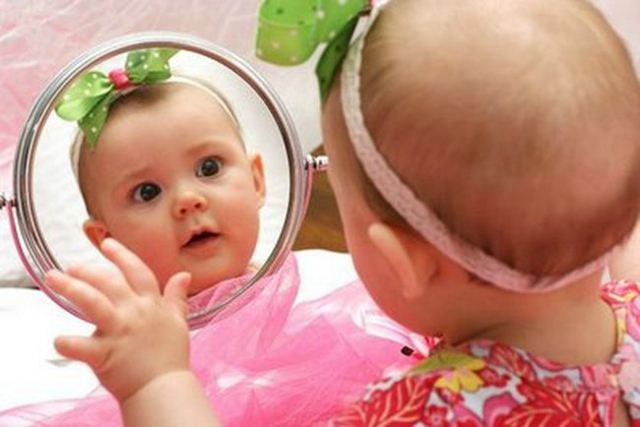 Your inner child is reborn to new life! Inner child healing isn’t and cannot be a simple rediscovery of some childish attitudes, as playing, creativity or being together empathically. Paths that aim to re-contact the inner child and make you ONLY play, using painting colours freely, doodling or kneading the clay, are not paths of healing the inner child. Maybe they are fun and can be used to spend leisure time in joy. But they cannot go deep, because to go deep and operate a substantial change, we have to address both aspects of the inner child: the light and the dark one. These two parts go hand in hand: become REALLY a child, and not as a joke or as a pose, and you will find them both. You cannot play without even feel a bit sad and lonely, you will not feel in despair without feeling relief too. The inner truth works in this way, and this is the healing path to follow: to integrate opposites. So we cannot pretend to heal our inner child just because we spent half the day painting using the palms of our hands, or a full day rolling around on the ground in free body expression. These can be preparatory works, they can help us understand not to be too serious in life, they can give us a sense of light-heartedness, but they cannot heal the trauma. You cannot heal your inner child simply recalling the past, analysing by the mind things occurred long time ago. Although this may be a preparatory approach, it’s not healing, for one reason: there is a separation between past and present, past is considered as “other”; but the mind that is available for making this analysis is precisely the result of that past that pretends to heal, then how can it heal? To cure, you must tap into a deeper level, you must use a power which is beyond the conditioned mind. It’s awareness, the only quality capable to bring healing, emanating love. We need to consider that, as mentioned previously, the inner child is always present: we mustn’t think as if we are healing someone or something of the past. Healing itself can only happen in the present, and the conditioned mind is not part of the present, but it is something dead, it cannot bring any solution. Awareness attracts and connects both the inner child and the superego, within the adult which is who you are now, bringing alignment, unity. This can be helpful, but it does not lead to integral healing, which occurs when the trauma is re-contacted and melted. Trauma is an interruption in the flow of vital energy of the child. The vital energy flows through the body and trauma always leaves a mark in the body, thus healing must involve the body, to have a full contact with emotions, so that it becomes possible to ride the energy and free it. This leads to full awareness, to the true integration between inner child, inner parent and adult. – It’s not about forgiving parents! This is an overused term, imbued by the worst do-goodism, capable of fixing things instead of getting to the heart of transformation. Healing is the inner experience of union between child, adult and parent, and it’s something that belongs entirely to you. Parents have nothing to do with it; they are just mirrors, instruments that existence has used for the common evolution. To be aware of being angry with parents can be an excellent starting point in the healing journey, but the real transformation has nothing to do with forgiving them. When you let go of the charges inside, you realize that there is nothing to forgive, and there never was. – It’s a work based on the present and on presence: if you are present, you are able to see that life constantly brings the inner child in front of you. You do not have to go looking for it in the past, it is already here. You just have to become aware of your conditioning, to see that; while you’re conditioned, you are the past. If you want to heal, it’s the present that you have to search, not the past, because as long as you’re conditioned, you miss the present, not the past. This can be difficult to understand unless you’re comfortable with meditation, with the self-observation, with your inner space. But it becomes obvious, as you move forward on the path, with courage, with openness. – It’s a work where you contact light and darkness, and darkness is painful. Recontacting the energy of the trauma, in all of its rawness, welcoming the black despair of not being loved, of feeling lonely, lost, is the price to pay to get out of the tunnel and to be reborn, free at last. Witnessing the truth of our darkness strengthens us and makes us able to go beyond, where our light is fully recognized. – It’s a work that has to be conducted on all levels: mental, physical, emotional and spiritual. The body level is, as mentioned, of the foremost importance, because the blockages caused by the trauma are deeply established in the body, and by acting on the body you can go deep into it and unblock it.